5/5 rating based on 189 reviews. Read all reviews for Love You To Bits for iPhone. Love You To Bits is paid iOS app published by Alike Studio S.L. I just got done playing this game all the way through for the third time...I came looking for other games from the same developer and decided to write a review. Best game ever, you won’t regret this purchase. Okay I don’t even know where to start. This game is amazing. The music first off just sets such a calm tone and it really chills me out when I’m playing, the graphic design is amazing and the levels are not easy! There’s been some levels I’ve had to start over 5 times and still look up how to pass them 😂. I am ashamed. Some levels took me up to an hour to complete and honestly I’m not even mad. Not ones did this game lose my interest. It’s awesome. Please play it. Let it move you. Beautiful. Adorable. Funny. This game is just perfect. 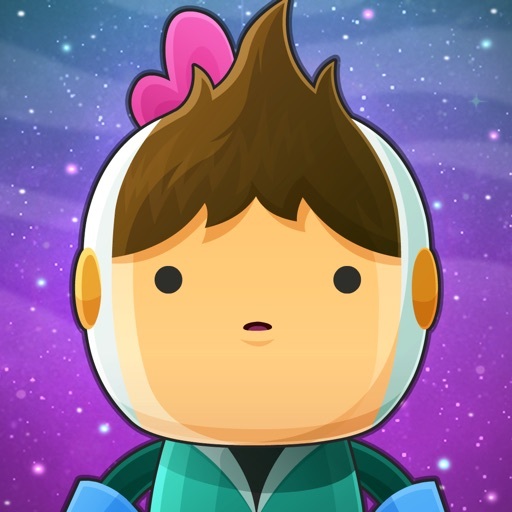 Love You To Bits is an indie game whose main objective is rather straight-forward and blatantly presented; find the pieces of Cosmo's companion, Nova, which were scattered across the intergalactic plains in drastically contrasting worlds after their spaceship, struck by a stray laser beam (or of some other sort) broke apart. In regards to the premise of the game, there is nothing egregious about it - it isn't too complex or enthralling in originality or creativity. Needless to say, the game's paramount and simple goal is enticing because it introduces and subjects players to different environments they must interact with; you must explore, analyze, and assess each level in order to proceed, as the game engages players in finding and utilizing different items provided. In each level there are also memories hidden sparsely throughout that, ultimately, aren't required or important to the end goal, but the idea is intriguing nevertheless and captivates players so that they delve even further into the game. GAMEPLAY Players are instituted to different intergalactic worlds at the start of each level that they must explore and experiment with to find, not only key gameplay components, but memories as well. Each level is a puzzle, with some gameplay elements less apparent to the players; all parts of the puzzle however, must be fulfilled before the level can be completed. One complaint I must make though, is that climbing stairs or traveling through the levels can be tedious and ruins the immersion. (SPOILER AHEAD) Another complaint that must be noted, is that the ending is rather anticlimactic and left me unsatisfied; did Cosmos succeed in "resurrecting" Nova? Did she lose her memory and was that the purpose of the memories cached inside of each level? Was their relationship affected at all afterwards? The build-up and the excitement and anticipation roused by the last level and the final piece collected plateaued at the ending. Overall, Love You To Bits is a great game and I rate it 5/5 (only because its flaws can be overlooked). This is my 2nd time downloading it because it’s just so fun!! I love games like this which is a reason you should make a 2nd one.... I haven’t had any problems except the fact that there is no 2nd love you to bits I’m totally obsessed thanks for readying 5 stars!! Kid’s Review: I am ten and I played this game with my mom. It is very fun and cool. I like that the character is cute.The puzzles are very fun and creative. You should totally get this game! The game has a lot of problem solving. Like you reuse objects like a hanger. It is one of my favorite ipad games. AMAZING!!!!!!!!!!!!!!!!!!!!!!!!!!!!!!!!!!!!!!!!!!!!!!!!!!!!!!!!!!!!!!!!!!!!!!!!!!!! Mom’s Review: This game was fantastic. The puzzles were fresh and creative, a true breath of fresh air in games. It was also very heartfelt and amusing and had a lot of nostalgic pop-culture references for the older audience. We loved playing this together. SPOILER!!! I love the bird level and the one with the cyclops goat(: One problem... the ending is very short. He gives the heart and it ends. I would like it if there was one more level with the girl and him having fun. Thank you for the awesome game. This game was absolutely fantastic. I have beaten it twice and I’ve already redownloaded it again. I’ve had no problems whatsoever with it and cannot stop playing it. I agree with someone else that I think this game was so great that a 2nd Love You To Bits should be made with nova trying to find the pet or something like that. The storyline to this game made me cry the first time I finished it (they were happy tears of course :]). I think that this game should be made 5.99 for how amazing it is, but 3.99 is good for now :) I would definitely and gladly pay 4.99 or 5.99 for a second love you to bits that has the same gameplay as this one. The only thing I would say is that I had to be very patient for Kosmo to go where I wanted him to go to sometimes, but other than that, absolutely LOVED IT. Thanks Alike Studios and hope you can make another sweet and amazing game soon. I luvd it it was so great I really want alike studios to make a sequel. I highly recommend it.